They are a competitor of sorts, but I love what Big Brown does for the supply chain. They do a great job using their resources to inform and educate the public about our industry. Everyone knows UPS, because just about everyone (I'm assuming) has had some interaction with their service at least once in their lives. People probably think of UPS first as a package delivery company. However, the delivery of that package involves so much more. That invisible movement of goods is the supply chain. That exposure is good for all participants in the supply chain industry. 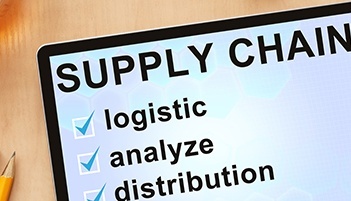 A recent story from NPR detailed the work being done in supply chain to increase productivity. They reported that the marriage of logistics technology and the person is the key to success. Technology on its own only gets you so far. Equally important to the flow of goods is the talent and professionalism of the work force. People make the supply chain a success. People get the most of the technology that's available to make the supply chain efficient and effective. At KANE, we believe that the people in our organization are the most important ingredient to sustain on-going success. We take the time to hire the best candidates and then further invest in training programs like Lean and Six Sigma. Today's consumer is sophisticated and connected. In order to meet the challenge of delivering delight and operating at the speed of life, be sure to choose a logistics partner that understands that new paradigm.